I was watching someone create a Website the other day and pointed out to him that the colors on the page he was creating should be consistent with his company’s other printed materials. That wasn’t happening, and that’s a bit of a problem, because when it comes to company’s reputation and image, consistency matters. When you walk into a Best Buy store, everyone who works there is wearing a distinctive blue shirt, each with the yellow “tag” logo with the words “Best Buy” stitched onto it. You instantly recognize the logo, and the blue color, as representing this national company. The branding continues in its advertising fliers in the Sunday newspaper, and on its corporate Website. All feature the familiar blue color with the slanted yellow tag that instantly ID the company as the place for electronics sales. The same is true whether you’re selling electronics, hamburgers or a professional service. If you confuse the customer in any way - with confused logos and branding, no consistent color scheme, or in some other crucial way - you could be failing to make a lasting positive impression on them. APR’s black and orange logo is distinctive, and is featured on business cards, Website and printed matter. Consistency builds a brand - but not just consistency of a company’s corporate colors, although we’ve seen how important that can be in the Best Buy example. Consistency in service, attitude, and promptness can also make or break a company. Every sale must be as close to customer-centered as possible. Every employee must be there to SERVE. 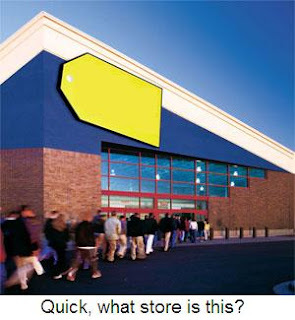 And yes, the customer must be able to latch onto visual cues such as logos and colors to instantly and fully understand what store he or she is in, and what products and/or services they are known for selling. If any of these messages is “off” - either because there’s no consistency in logo design or through an inconsistent corporate branding of its products and services, or through poor in-store or online service - then the entire experience is ruined and the loyalty of the customer will likely be lost. Because consistency plays such a vital role in reputation building, Abbott Public Relations offers a consistency analysis free with a retainer (also available through a la carte pricing) that looks at all of your company’s materials: your Website, your business cards, your fliers and brochures, and your other written materials, logos and yes, even the corporate colors. Let APR help you build you reputation.